Bruxism is characterized by a condition wherein a person grinds their teeth and clenches their jaw. It is considered a habit rather than a reflex chewing action. It affects most people at some point in their lives however it usually does not cause any problems. If you suffer from bruxism, you might unconsciously grind your teeth during the day or clench your teeth at night. Grinding your teeth at night is known as sleep bruxism. 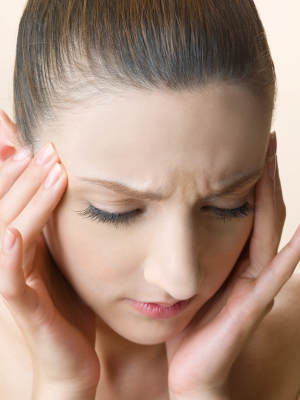 Bruxism, if severe, can result in jaw disorders, damaged teeth, headaches as well as other health conditions. As you might be unaware that you experience sleep bruxism, having the knowledge of its signs and symptoms is important. What are the Causes of Bruxism? What are The Risk Factors Associated With Bruxism? Age. Bruxism is more common in young adults. Stress. Increased stress or anxiety can also cause teeth grinding. People who become angry very easily often grind their teeth. Stimulating substances. Drinking alcohol or caffeinated beverages, smoking tobacco, or taking illegal drugs like ecstasy or methamphetamine can increase the risk of developing bruxism. What treatment is available for bruxism? 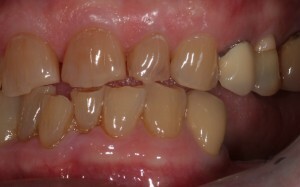 Occlusal splints. These are small plastic appliances which are made to cover the surfaces of teeth. Occlusal splints have been considered as the most successful, as they cover the teeth surfaces and protect and reduce the risk of premature tooth wear. Occlusal splints also reduce jaw muscle activity as this feels strange to the user. In this way the habit is interrupted and the bruxism reduced. Occlusal splints also reduce the noise of teeth grinding together which can be a concern for those sleeping partners which are awoken during the night be the noises of bruxism. Occlusal splints not only help natural teeth but also protect crowns, bridges and fillings on teeth. Hypnosis can help patients who clench their teeth to overcome the cognitive patterns that started the habit in the first place. The aim of hypnosis is to de-programme the habit that has started and provide ways of dealing with the situations that cause this. Hypnosis contains suggestions & techniques that will empower your mindset beyond stress and anxiety to give you ways of coping with emotional distress & sleeping patterns. Mandible (lower jaw) advancing devices. In this category an appliance is made that not only fits over the tooth surfaces but it also pushes the lower jaw (mandible) forward. 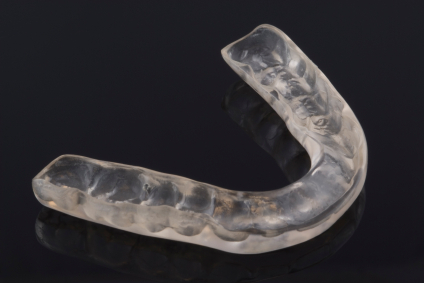 This allows the upper and lower jaw not to contact with one another, and attempts to completely break the habit of night bruxism by keeping the upper and lower arches separated. In a study carried out in 2006, it was shown to be mildly effective in reducing some patients symptoms of bruxism however it created problems of pain and discomfort when using such an appliance. Essentially the device should be simple and easy to cope with and for this reason its not very popular. When to Consult a Dentist? Regular visits to your dentist and hygienist are recommended in order to detect problems at an early stage. The signs and symptoms of bruxism may only show up in the advanced stages, therefore it is important to let your dentist know if you suffer from tooth wear, sensitivity or joint discomfort at any early stage. Brighton Implant Clinic is a dental clinic based in East Sussex, UK. The clinic has expertise in the replacement and treatment of missing or damaged teeth. For more information please feel free to Contact Brighton Implant Clinic or Call us on 0800 111 6623.